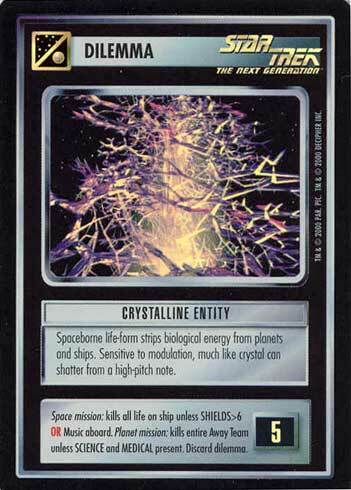 Spaceborne life-form strips biological energy from planets and ships. Sensitive to modulation much like crystal can shatter from a high pitch note. Image Source: The Next Generation: "Silicon Avatar"